my friend Nancy and I. 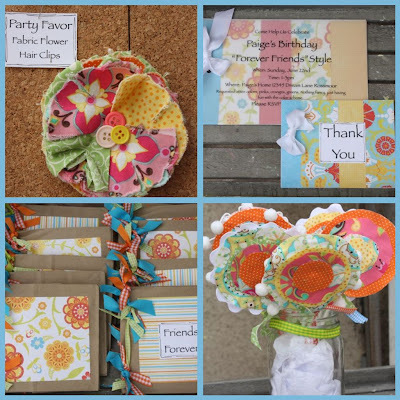 We have donated a Dandelion Wish party package to a local school for a fundraiser. We love the colors and are so happy with the way things turned out. Now its time to work on more projects. Have a wonderful day. Such a sweet, warm hearted, thoughtful girl you are. Have a wonderful day Birthday Girl. Hope on over to SoSoBella to purchase this tag necklace for Mothers Day at a great price. Makes a great Grandma gift too. 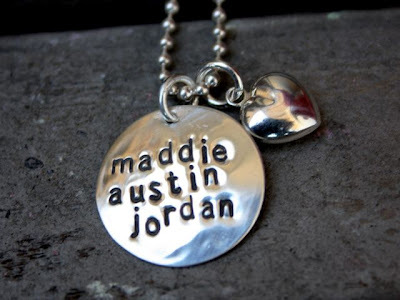 This necklace can fit up to 6 names on it using a smaller font. What a busy week it has been. Specially with Mothers Day approaching. 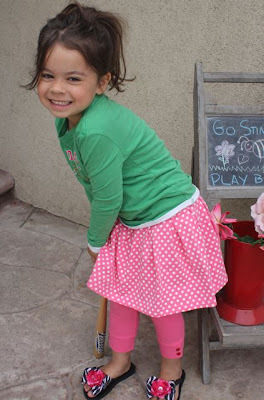 For awhile now I have been following an amazing Mom (blogger). Her story is incredibly touching, her writing is wonderful and her family is darling! 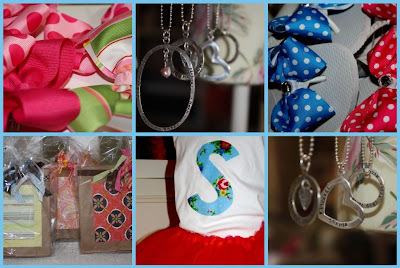 I am so excited and honored that she, Julie, of Joy's Hope, is hosting a SoSoBella give-a-way. She is one of the most talented bloggers I have ever seen. And on top of her talent for blogging she is one of the most creative gals ever. Check out her Etsy store here for all her yummy goodies. Add her to your bookmark. 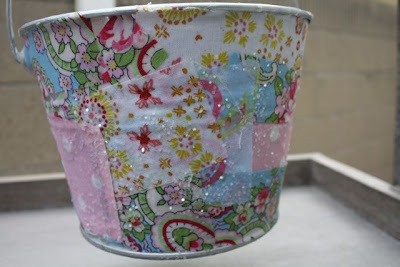 Her blog is one that will bring a smile to your face and get your creative juices flowing. So far thats the plan. It should be a fun filled day. 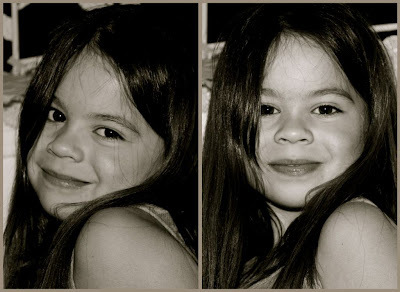 My little one is turning 5 soon. The whole saying "time flies", who ever started that was right. I remember the day I brought that little girl home like it was yesterday. My days are filled with my girls, my family, friends. We (my family) roll everywhere together. Are days are not crazy busy. We don't have a lot of places to be. I work from home, they are always somewhere in the house playing, I can hear their voices playing make believe with there stuffed animals or dolls. But still if the minute hand would slow down, just a little I would get a little more of what I love so much. Each of my girls wanted to pick a name, so I let them. & weekend we had. Parties, Disneyland, Daddy home for the week, swimming, sun, crafts, softball game, friends....I am truly thankful for what He has provided me with. Don't forget to say hello. And don't be shy. Tomorrow night is the drawing for the sweet necklace previously posted. and I love, love, love it! I have wanted to create something for them that was sweet and dainty and that had a cross. 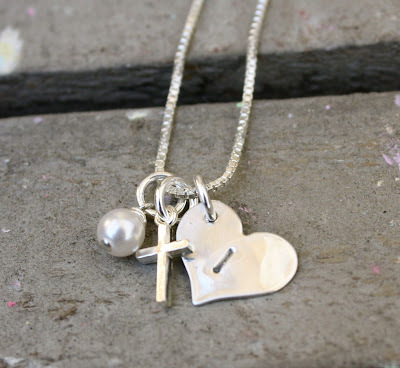 I wear the heart tags, and I thought that it would be cute with the cross, then I added the pearl. I am so happy with this sweet little necklace. They both are wearing them and they are just perfect. And because I love it so much, I am giving one away. Leave me a comment, just say hello, and you will be entered to win. The winner will be picked on Monday, one of my favorite days. Rock Star Style. Hot pink and black, We LoVe It! Sophia is so excited. Got all the decorations ordered. Got fun, so stinking cute, props/favors done! Should be here next week. Invitations, done. Going out tomorrow. And a give a way too. Remember Isabella's party. Color schemes are fun. Try it next time. 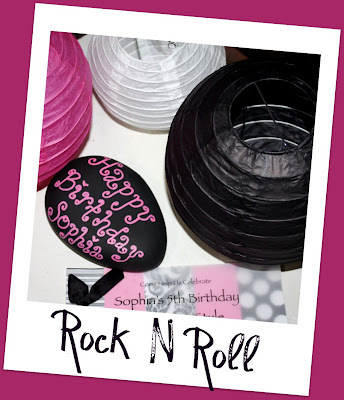 for Sophia's birthday party. I had a party scheduled for her at a "Party Place". After totaling out all that was involved I realized that this is what A Dandelion Wish (my friend Nancy and I's company) does, puts on the best party ever. Within an hour I had everything ordered and done. Including the invitations. I am so stinking excited I can't stand it. 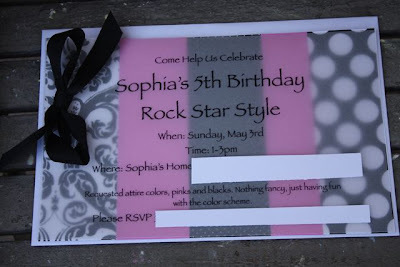 The theme is Rock Star and the color scheme is pink and black. I can't wait to share with you what all we have planned. Stay tuned, you might want to schedule one for your girlie. 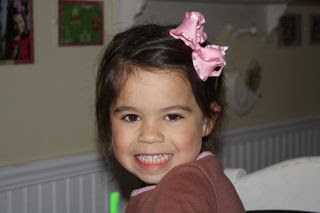 I can't believe my little one is turning 5. Holy cow! my hubby is. He is get'n stuff done on his week off. Today he painted the girls room, yipee. I had bought new bedding awhile back and was so excited to get it on their beds. I love it! 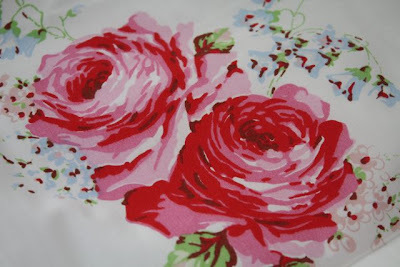 Thanks Kath Kidston, have I ever told you about her, oh my gosh, her goods are my favorite. Anyhow, now that there is new paint and new bedding I can't seem to put the old things back on the walls. My vision for the walls are great things created by the girls, pictures of them and whimsical fun. We'll see. I am in no hurry. Back to getting things done, tomorrow he is painting the hallway. So cool. We were going to tackle the kitchen cabinets but with his dislike in painting and my short attention span there was no way we'd get that done. Here are a picture of the girls new bedding. Oh, and we got new bedding for our room too. Can't wait to show you. 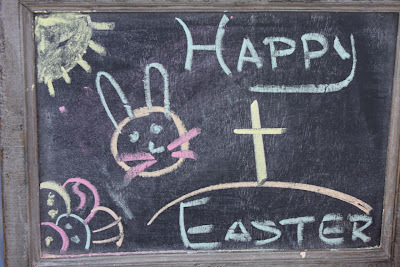 Hope your spring break was great too! So Cool. Check it out. 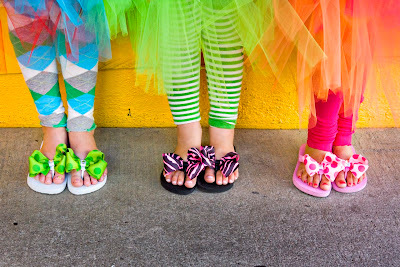 We had a photo shoot with Melinda Kim for my flip flop line. We had so much fun taking them. I can't wait to see the rest. Thanks Melinda. For all of you who came to my Open House.